The 1st of February is a special date in both the Christian and Celtic calendars. It marks the beginning of spring, where winter loosens its grasp and the first shoots of green begin to appear from beneath the frigid earth. 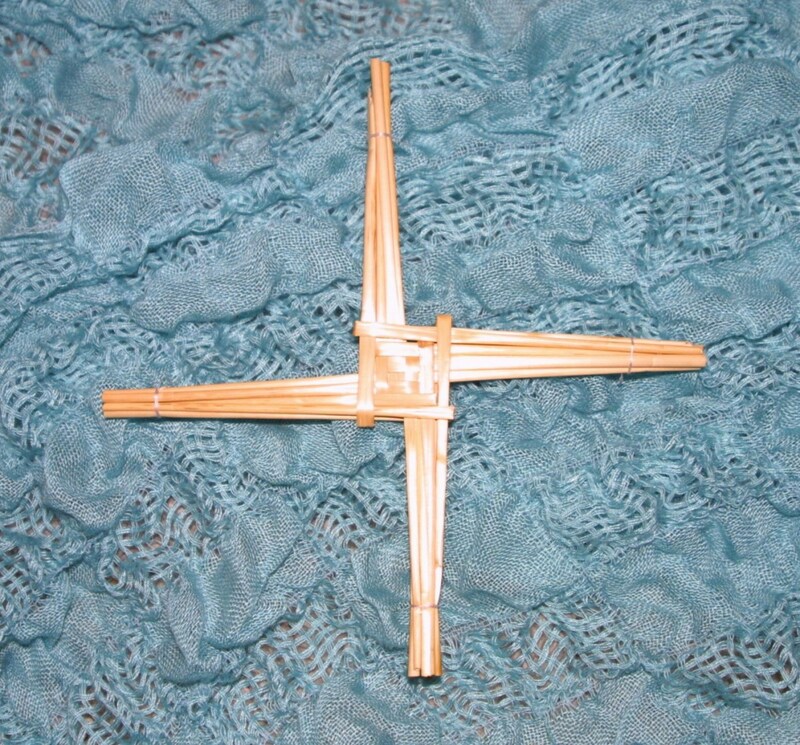 Christians celebrate St. Brigid's Day, where the Irish saint Brigid of Kildare is honoured. Her feast day, known in Ireland as Lá Fhéile Bhríde, takes place on 1st February and it is traditional for these crosses to be made as part of the celebration. In the pre-Christian world, Brigid was a goddess of the Tuatha Dé Danann. She was venerated as a goddess of poetry, arts and crafts, livestock, medicine, and sacred wells, as well as the arrival of springtime . This time of year is also known as the festival of Imbolc, which tends to be celebrated on 2nd February. As an important goddess, it is believed by many historians that her veneration was continued after the arrival of Christianity to Ireland, where she was instead included among the saints of the Holy Church. Brigid is sometimes spelled as Brighid, Bríde, or Brigit, and the name translates as "exalted one". 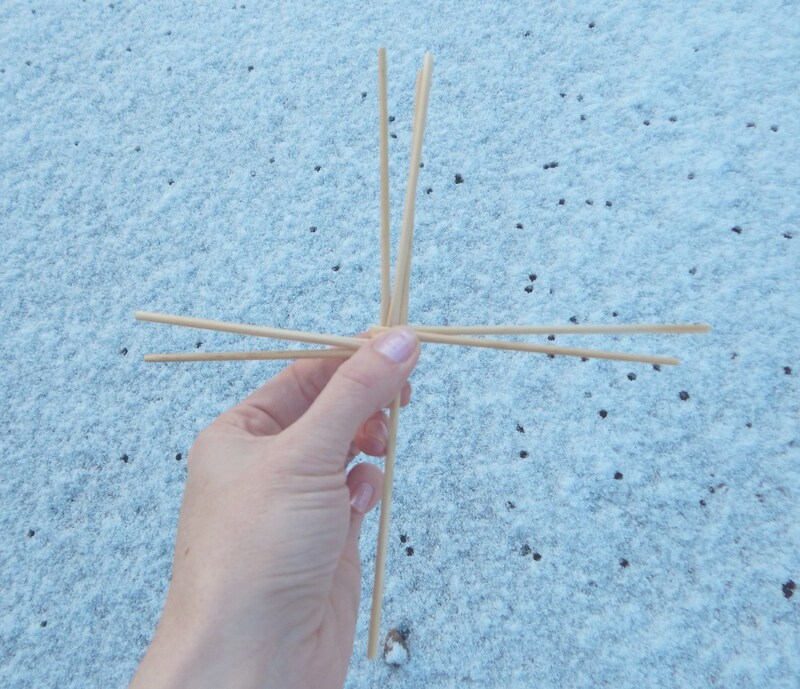 There are numerous wells dedicated to St. Brigid, where around 1st February, you may find gifts of these crosses left by visitors to the sacred waters. 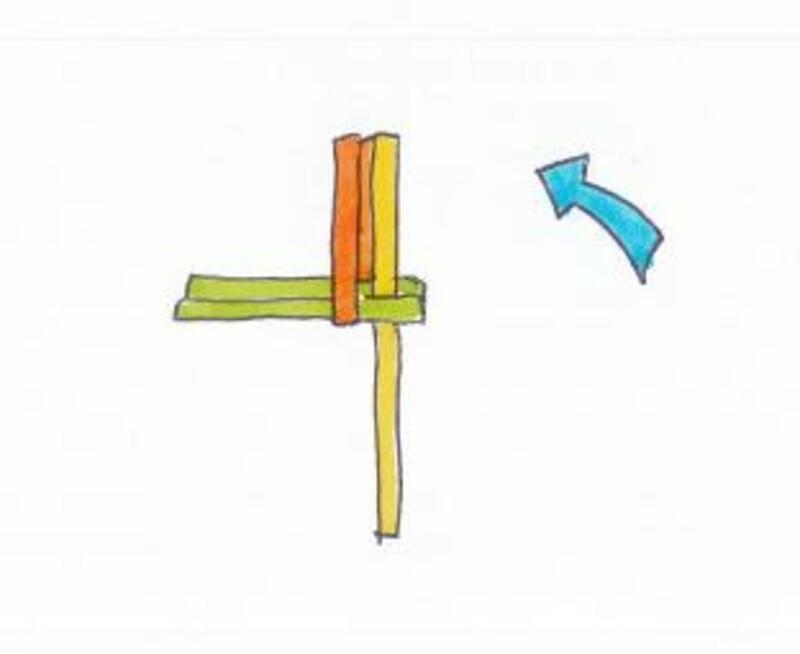 There is a belief that these crosses protect a home from catching fire. As well as associations with the Christian symbol of the cross, this decoration also may be a representation of the Celtic quarterly festivals and the sun, in a similar sense to the ancient symbol known as the fylfot. In this article, you can learn how to make one of your own, following step-by-step instructions. 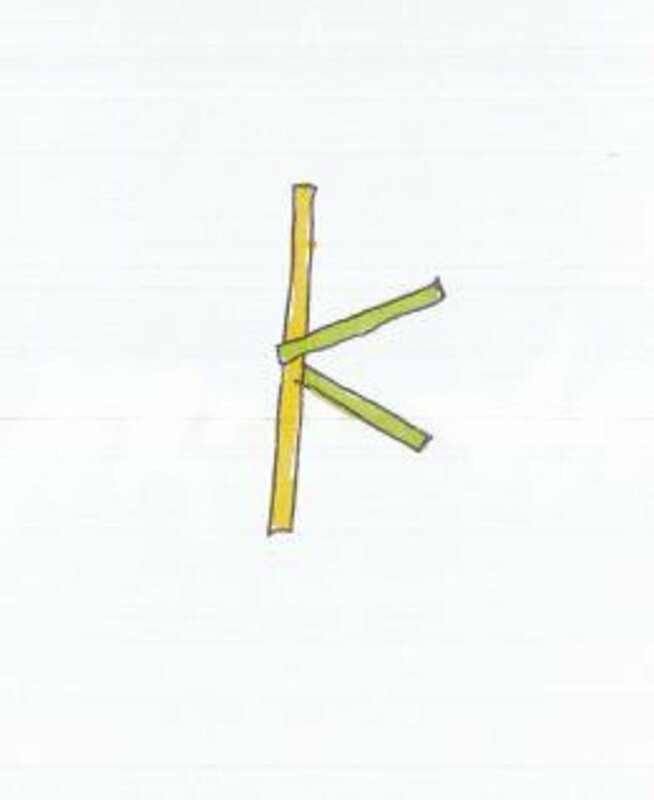 Whilst the traditional material for these crosses tends to be freshly cut reeds, I have used straw for this demonstration. You can also use drinking straws if involving children in this activity, but replace the string with small elastic bands. The type that you would use for an elastic-band loom are perfect. 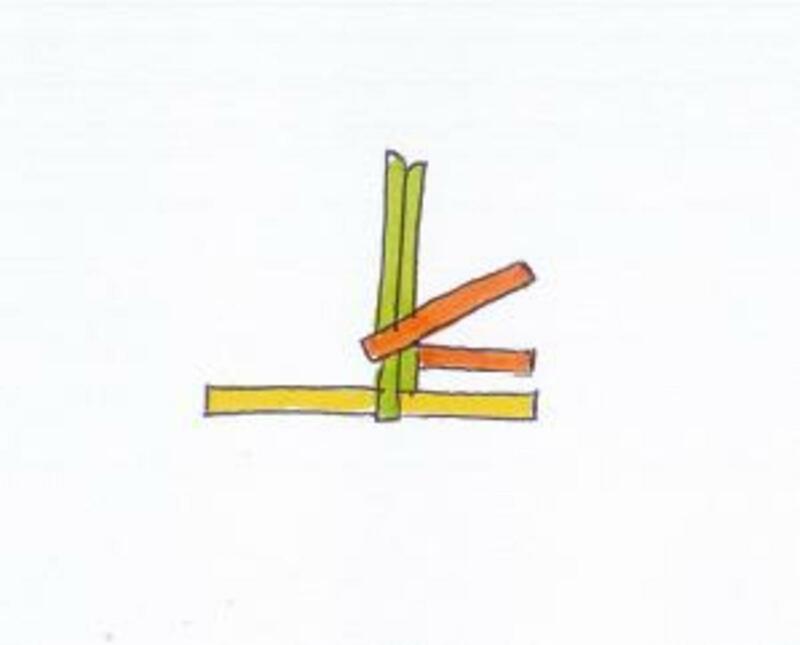 Lengths of straw, around 10 inches long. I have used 16, you may use more if you wish. If using straw, soak in water for at least 3 hours or else it will split when you fold it. You can substitute straw with fresh reeds. For a fun children's activity, use coloured drinking straws and small elastic bands instead of cotton. 1. Take two pieces of straw. 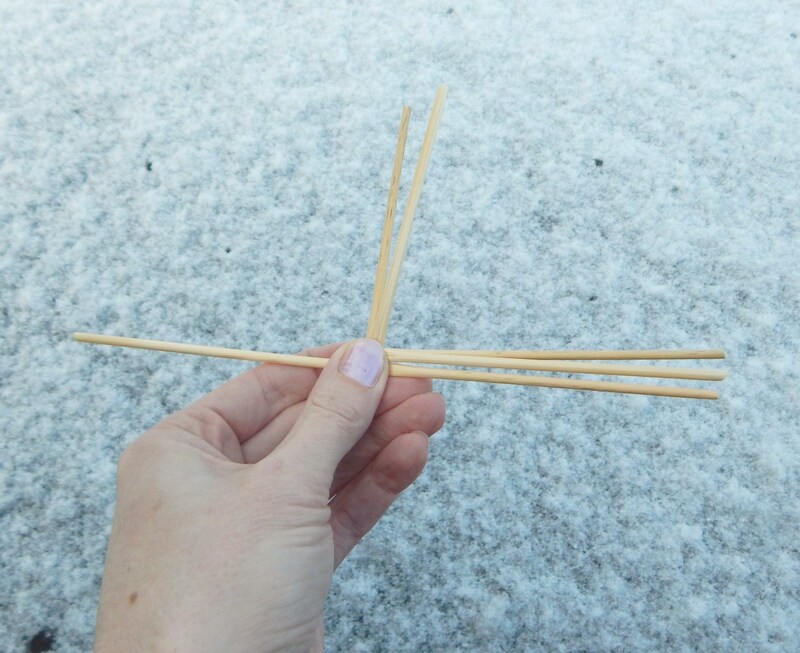 Keep one straight, and fold the second in half around the centre of the first length of straw. Pinch it tightly between your fingers and thumb. It will look a little like the photograph below. 2. Turn the whole thing anti-clockwise (or clockwise, if the reverse is easier for you! ), so that the folded piece is pointing upwards. 3. Bend another piece of straw in half, and fold it around the first folded piece. Always keep the folded edge on the outside of the piece that you are folding it around. 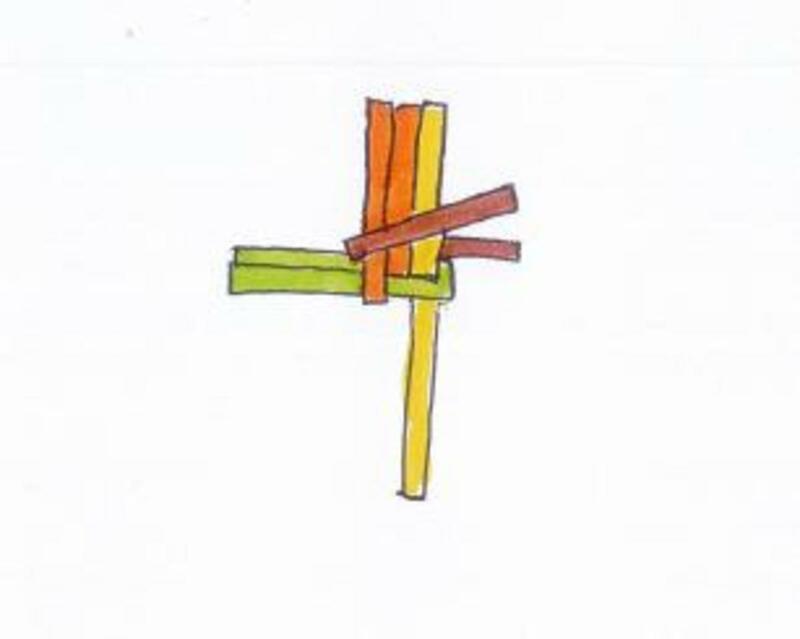 The photograph below shows what your cross will look like at this point. 4. Turn the cross anti-clockwise again, taking care to hold the centre firmly to stop the pieces springing apart. If you find that it starts to lose its shape, don't worry. The straw will be easier to work with once you have folded it, and you can put it back together following the steps given. 5. 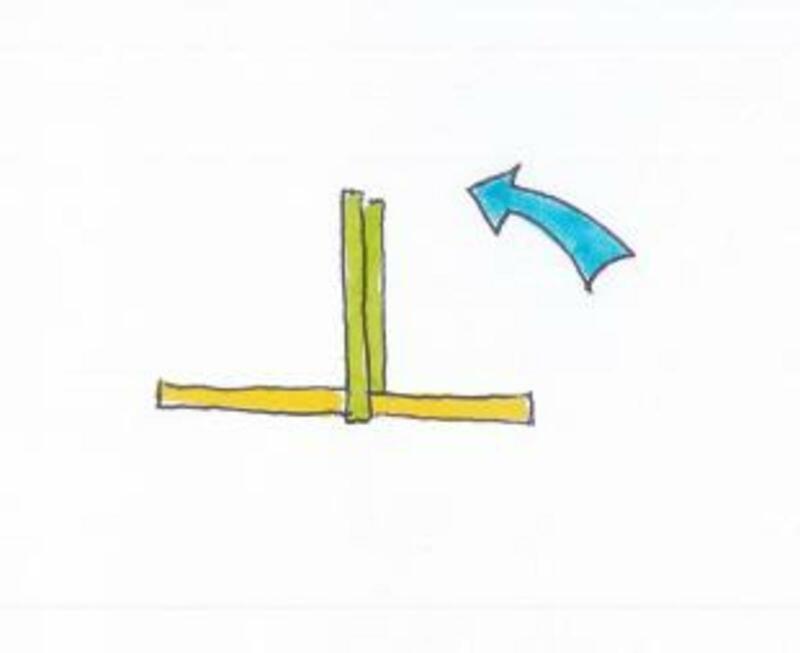 Fold another piece of straw around the top arm of the cross. You will begin to see the classic "weave" type pattern forming at the centre. The photograph shows how it should look at this point. Your cross now has four arms. Now continue the steps above. 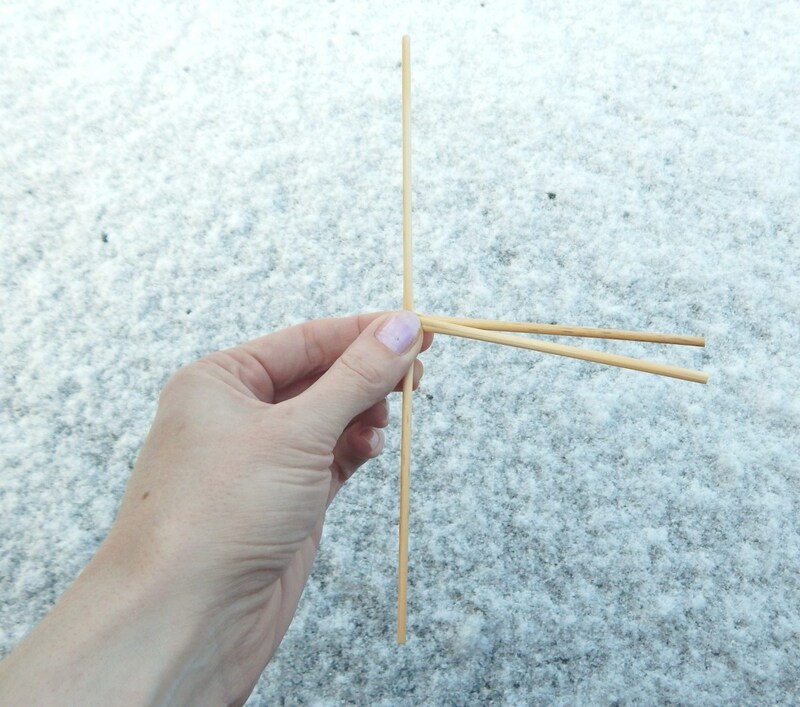 Fold a piece of straw over the arm, then turn the cross anti-clockwise before folding a straw over the arm again. Continue until the cross is the size that you would like it. Once you are happy with your cross, carefully tie each arm tightly with the cotton. This is very fiddly, and on my first attempt the whole thing fell apart! You might like to use elastic bands to hold everything in place until you have the knots tight. 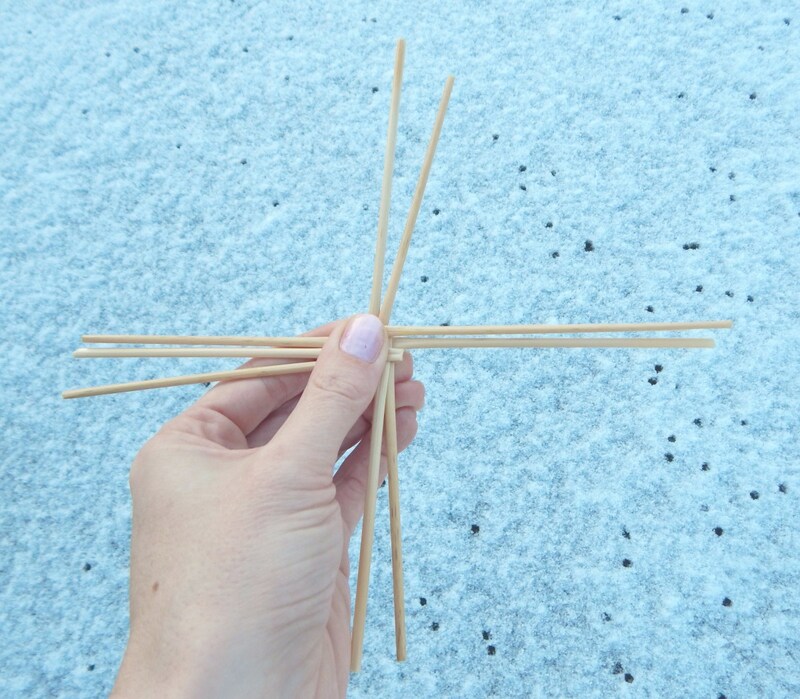 Trim the ends of the arms to tidy it up, and tease the straws with your fingers so that they are spread nice and evenly. Congratulations! You have yourself a beautiful St. Brigid's cross. You are welcome, Georgene. These are particularly popular in Ireland on St. Brigid's Day. What an interesting craft project. Thank you for providing such detailed and easy-to-follow instructions. I am always on the lookout for simple craft projects rooted in the spiritual and this hub is perfect for that! Thank you Nell! They look so pretty and really are easy to make. I love this, I have to make one now for my wall! another great hub Pollyanna! Thank you so much, peachpurple! Marilyn, that's the loveliest thing about these for me too. I remember my grandfather showing me how to make one, with reeds, out on a tiny lane in Ireland. We don't have those where I live now, so I have to substitute with straw. 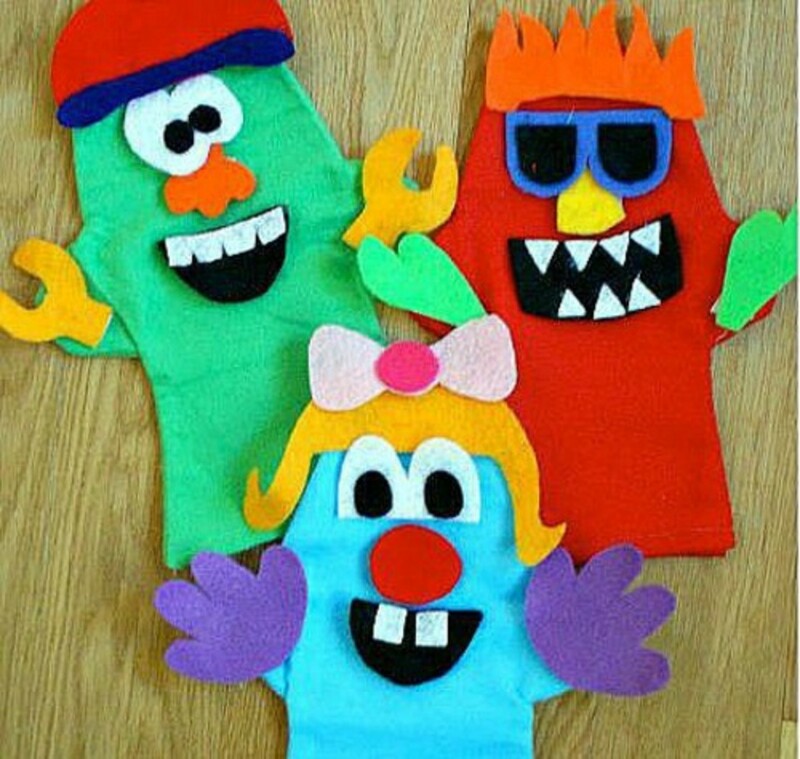 I remember making these when I was a little girl. My Mom taught me. Fond memories that go way back. 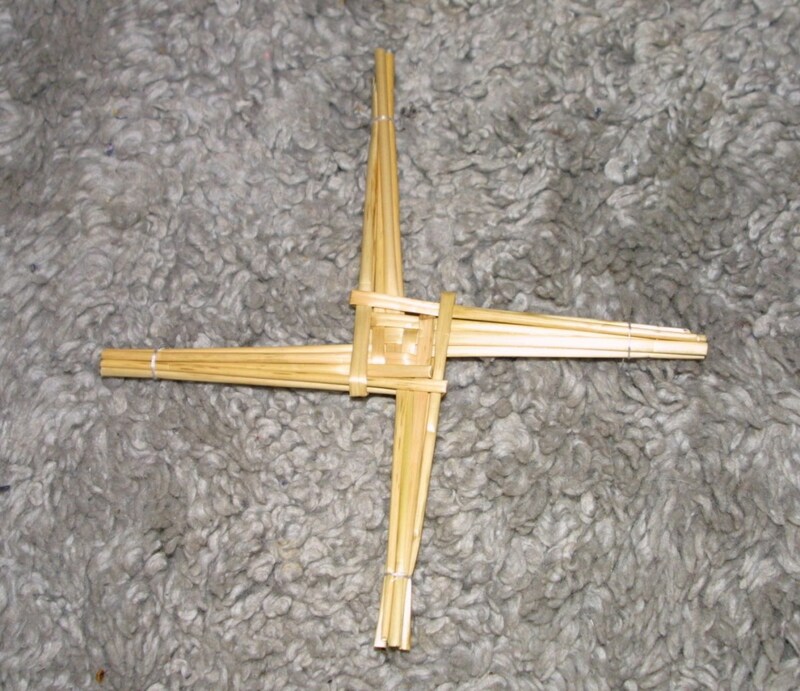 My sister taught her daughter how to make them, and Pollyanna, you are right that learning about Brigid also familiarizes one with the Irish culture. hostaguy - A pleasure! If you learn about Brigid, you learn so much about Irish cultural history. It is very interesting. ezzly - Thank you so much! I had hoped to finish this in time for 1st February, I'm glad I managed it! FlourishAnyway - Thank you! Yes, they are easy to make. And they look lovely. I never heard of this but enjoyed the hub. the instructions look very doable and I found the history intriguing. Perfectly topical for the next coming days;) got to love the St Brigids cross, takes me back to my youth. Wonderful piece , sharing on twitter ! Thanks Carolyn! I've not done one before, but with the other bits and pieces that I make, I thought it would be fun to run a series of craft tutorials for items that relate to specific festivals around the British Isles. They tie in nicely with the folklore and history theme. Many thanks for sharing! Thank you! I only scratched the surface with the history, that certainly is worth its own article independently. They are very easy to make, and don't take too long either. How interesting and it doesn't look very hard to do. I especially like the history.